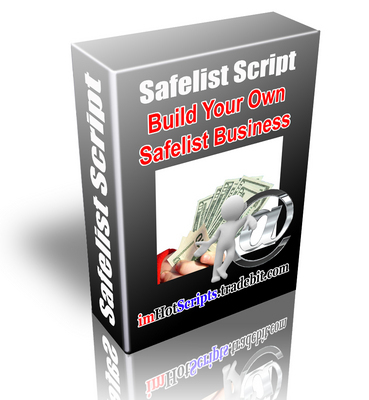 Start Your Own Safelist and Click Exchange Advertising Business With this powerful safelist script. There are million internet marketers try to build list to increase their online income. Many people pay lot of money in email marketing services. Others spend their time to advertise in traffic exchange. We know.., traffic is high demand. And you can easily serve safelist advertising and make money with your own business site. This script comes with easy installation. You simply follow step by step instruction, upload all files then your site is ready to go. Download this powerful safelist script for only $37.5!